Share your wishlists with your friend. They can lock items from your lists and people to whom you shared the wishlist are notified. No more duplicate gifts. Try this new experience in handling with your wishlists. It's easy, it's fun and it'is free! and a wishlist for each one of them and share it with your entourage. Use the Sugalist extension with Google Chrome to get a better experience. to your favorite social media friends, to the world! Whether they have a Sugalist account or not, they will get your wishlists by mail. They will just have to choose in your wishlist. Everybody who follow your wishlist will be informed if an item is bought or not. Connect with your favorite social account. 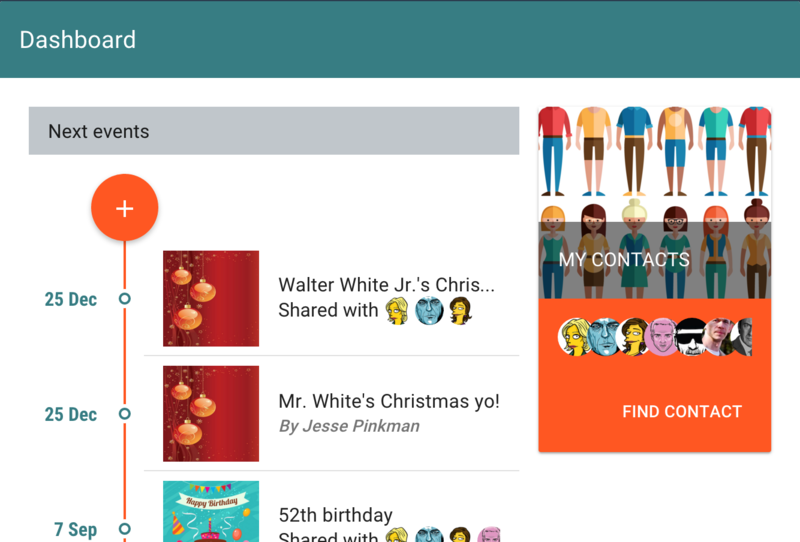 You'll easily find your Google contacts or Facebook friends. Note that if you log with a Facebook account, Facebook policy do not allow to see all your friends, only those who have logged in Sugalist with their Facebook account.